As if saying why does life have to be complicated? ast week Monday (April 5), my wife and I found ourselves in the patient room waiting for Dr. A, the liver surgeon (see related post ‘Meeting Dr. A‘). This appointment was already set several weeks ago to assess the resectability of my liver. 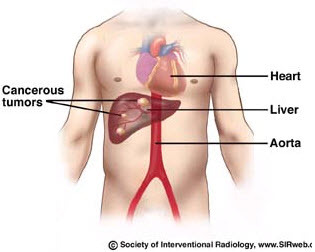 The previouls week (March 31 and April 1), I had a series of scans of my liver, chest, and whole body (PET). The PET scan came out negative with no cancer cells detected, soI was curious to find out what Dr. A would recommend. “Wow. You look burnt, Dr. A. I hope you had fun!” I jokingly said upon seeing him walk through the door. He smiled and said “I took in too much sun while on vacation in Arizona.” I suppose you forgot to put sunblock. 🙂 We exchanged further pleasantries and then he got down to business. There it is again. Reality looking me in the eyes. I could not reconcile in my mind why these learned doctors would recommend resection of my liver when my scans were negative. Why? Seeing my apprehension, Dr A. continued. He gave me other details of how long is the recovery period and if it will be partial or full resection. Right now he is looking at an open surgery to take out the right lobe of my liver. Gulp! Recovery is about four weeks in order for the left lobe to grow and take over. I would have to give up drinking or drink in moderation since I am left with one lobe. This is complicated, but if you think about it I am being given an opportunity to increase my chances of remission. My right lobe for a better life. It is no different from the choices given up by other cancer patients, like LisaK, a breast cancer survivor of 11 years. Lisa is my yoga-mate and I recently got to know her more. She is a graphic artist and entrepreneur with her own company (Pisa Design). Eleven years ago, she was in the same predicament I am in now. To increase her chance of remission she had a double mastectomy; moreover, she even went further to have her ovaries removed. Now, how does that compare to me giving up drinking and her giving up up the chance to have kids of her own? Cancer makes give up things for a sliver of hope of remission. You have to give up something in order to get something of value. Sounds familiar. It happens everyday, like paying for goods and services; but put this into perspective of something of real value. It is like giving up something for a chance to smell the roses for many more years, hold hands with your wife or love ones, a chance to see one more sunrise, or a chance to stand at the starting line of the NYC marathon or London marathon. Would I give up a liver for that? Yes, I would. It is not complicated. PS: I would know in the coming days when my liver surgery will be. For now, I being weaned out of chemo toxins in my body. To help in getting rid of the toxins, I am running, cycling, cross-training, and doing more yoga. Hopefully, I will have an easy recovery from surgery, as well. I will keep you posted. Doctors give us many options with few guarantees. Especially with cancer. We have to trust ourselves to make big decisions which will impact our relatives, our friends, and our futures—weigh the value of each option and you find your answer. Whatever the answer, believe in yourself. I believed. I did not look back. I would do it a thousand times over. What ever path we choose will be the right one. Bo, continue to rid your body of toxins and prepare for a successful surgery. There are lots of people cheering you on, believing in YOU!